Meat and Lollies is not the usual "art speak" label you expect to find attached to a display of experimental art. But there's a healthy motive for the message in the title of the Otara exhibition. "At first, we were asked to comment on obesity and diabetes," says Otara artist Sean Kerrigan, "but we all agreed that it would be better to expand on the idea rather than telling people that they're too fat." Kerrigan initially considered using the word "meat" as a metaphor for hard work and attachment, and he felt "lollies" could represent frivolity and a reward system. "I decided to use my artwork to depict the dilemma many Pacific Islanders in South Auckland face," he says. Curated by Janet Lilo and Ema Tavola, Meat and Lollies, in the inaugural Manukau Festival of Arts, features works by Antonio Filipo, Leilani Kake, Mele Penitani, Genevieve Pini and Siliga Setoga. In keeping with Kerrigan's belief that you should work with materials that are readily available, he chose plywood which he's managed to acquire at no cost. "I heard there was a place doing infrastructure works and that they had so much plywood that they didn't know where to put it." Likewise, he's decided to add sound to his exhibit made up of sampler electronics, which he's recycled from toys thrown out during the local inorganic collection. "I love picking rubbish off the street to use for my art. I also love the way people look at me as if I'm a vagabond." Kerrigan believes the large scope the participating artists have to work with will allow them to "dig deep into themselves. I believe it's a great way to raise the stakes to weed out the pretenders". He is deliberately vague about the meaning of his artworks, he says, because he doesn't like telling the public what to feel or how to respond. "I want to give them the freedom to make up their own minds." Kerrigan acknowledges a "love-hate relationship" with the art world. "I go through phases where I give it up for a few months or years and then end up coming back. "Art has become too structured. For example, everyone has a masters degree, which seems to come before the art." 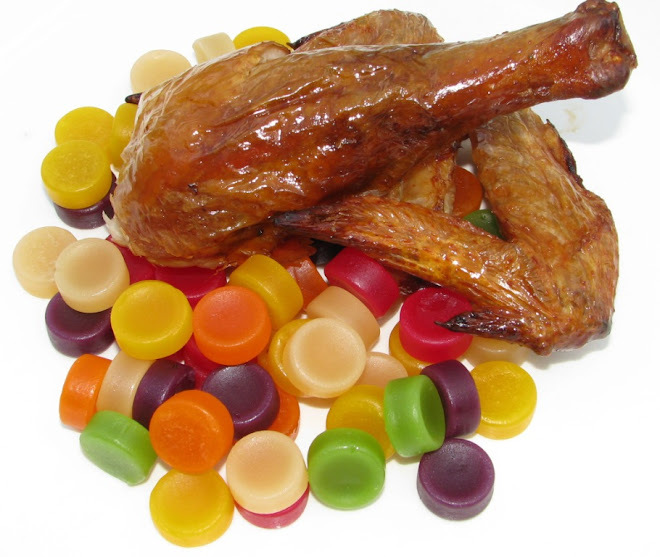 Meat & Lollies, Fresh Gallery Otara, Otara Town Centre, Manukau City, Oct 31 to Nov 22. Ph 271 6019. This article appeared in the sometimes delivered "Aucklander - South Edition" sometime in October or November.